If you use Google Chrome a lot, then perhaps you will notice that Chrome is slowing down more and more. In this case you could simply clear the browser cache, history but sometimes this is not enough, you need to dig deeper. 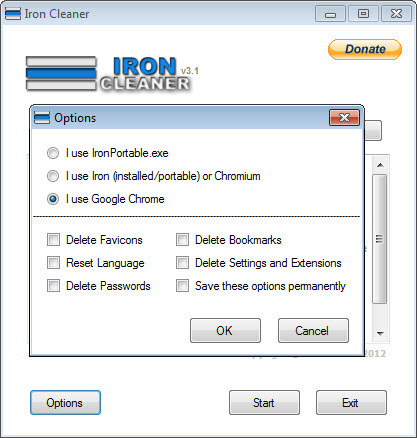 Therefore IronCleaner is an open source tool for Windows which cleans up Google Chrome, Chromium or SRWare Iron. It’s not necessary that you clean all of these information. It’s up to you what you need to keep and what to toss away.